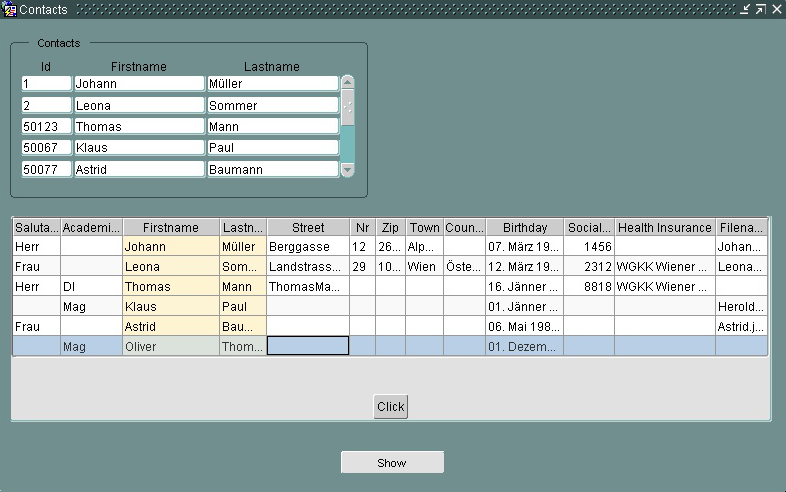 Oracle Forms is a great technology/platform to write database applications (for Oracle DBs) - There is no doubt! But nobody knows how long it will exist! Oracle tries to replace Forms with ADF and or APEX, since years. APEX has limited functionality, ADF is too complex and is very "special"! There are several tools that allows "automatic migration". But this is not more than an attempt! Simple and small Forms Applications are surely migrated to another technology, but what is with the more important - large - applications? We are not magicians, but have a modern technolgogy which enables a gradual migration. Why is Oracle Forms so successful? It is simple and does its job. You create User Interfaces for your Oracle Database very fast and ready for production. With JVx we offer a framework that solves the same problems but it is UI and database independent, is 100% Java and is Open Source. Use JVx in your Forms applications. Every developer knows that it is not so easy to replace a full-blown application with another one. Would it be cool to use existing features and Oracle Forms User Interfaces and integrate/implement new features and User Interfaces with JVx. Of course it would be very cool, but you need exactly one application that is consistent and still "simply works"! And after all your Forms features are migrated, simply use a JVx application without Forms. You have no effort to switch, because it does not matter whether JVx runs with or without Forms! I assure you that no other framework is better suited than JVx. Re-use your existing database logic (triggers, packages, views, functions, procedures) without changes. It is possible but not necessary to move your business logic to the server tier (middleware). Of course, it is recommended, if you plan to replace your Oracle database with antother database system. To be honest... Oracle has a damn good RDBMS. Why sould you create tons of source code and use ORMs if your data model is clean. I'm sure you want maintainable applications - as usual? Use your preferred Open Source application server and don't pay expensive license fees. And one of the most important things: You don't need a new development team. What happens if you decide to replace your Forms Application with ADF? Have your developers the needed skils? And if you want to develop faster than ever before, use VisionX on top. You have never used a better Application development tool!